Three of the largest U.S. beer companies dropped a slate of new advertisements this week in an effort to capture the attention of soccer fans tuning into the 2018 World Cup. 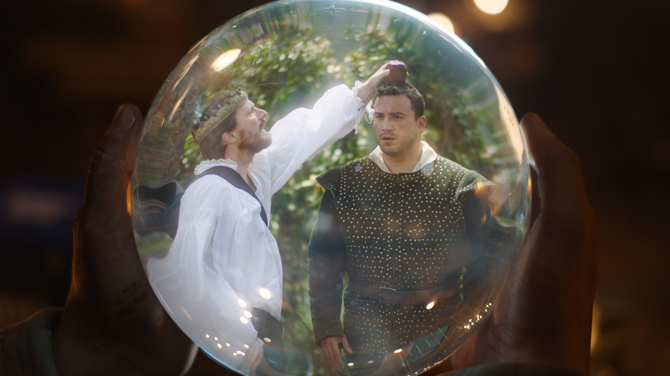 Anheuser-Busch InBev, the world’s largest brewer, rolled out three new medieval-themed commercials for Bud Light, one of which was created for the World Cup and produced in both English and Spanish. Called “Early Game,” the World Cup-inspired ad features a trio of party crashers showing up to watch soccer matches in Oracle Susana’s crystal ball. The other two – “Spyglass” and “Attack” – build on Bud Light’s “Dilly Dilly” slogan while promoting the company’s Bud Light Lime and Bud Light Orange line extensions, as well as its “Bud Light Getaway” contest. According to iSpot.tv data cited by Ad Age, A-B will spend an estimated $9 million to air the Bud Light “Spyglass” TV ad. The ad features soccer star Landon Donovan and David Ross, who won the 2016 World Series with the Chicago Cubs, the team’s first championship since 1908. In the commercial, the two athletes discuss the idea of sports curses, and they encourage Americans to rally behind Mexico, which hasn’t advanced beyond its fourth World Cup game for nearly three decades. “As an underdog brand and a brand rooted in the fighting spirit, we believe the fighting spirit can break curses,” Stein wrote. Set to Frankie Vallii’s popular “Can’t Take my Eyes Off You,” the spot features a man and woman who appear to be staring longingly into each other’s eyes. The camera slowly zooms out to reveal that the couple was watching a thrilling soccer match inside of a crowded restaurant. Later, they bump into one another while jockeying for position near the bar. A second new commercial, called “New Friends,” debuted nationwide yesterday and features a lost house partygoer accidentally enjoying himself at the wrong celebration. It’s part of Heineken’s new “Cheers to the Unexpected” campaign and features the Ramones’ cover of “Surfin Bird” by The Trashmen.